Welcome to the New Model at 15 Heights Circle! We have moved! 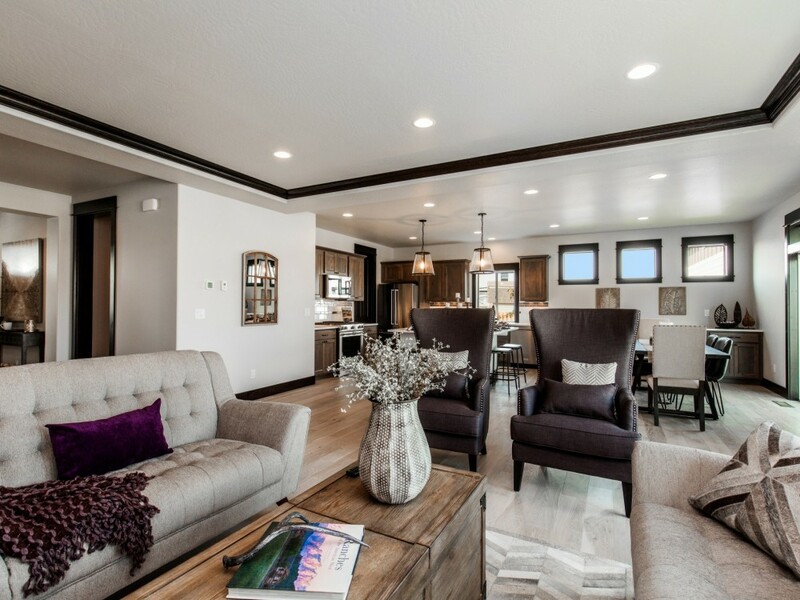 Take a peek at some of the images from our new model home at 15 Heights Circle or stop in for a tour! This is our newest plan, a 3181 sq. ft. house. We also included our two story ADU finished with a 1 bedroom apartment! 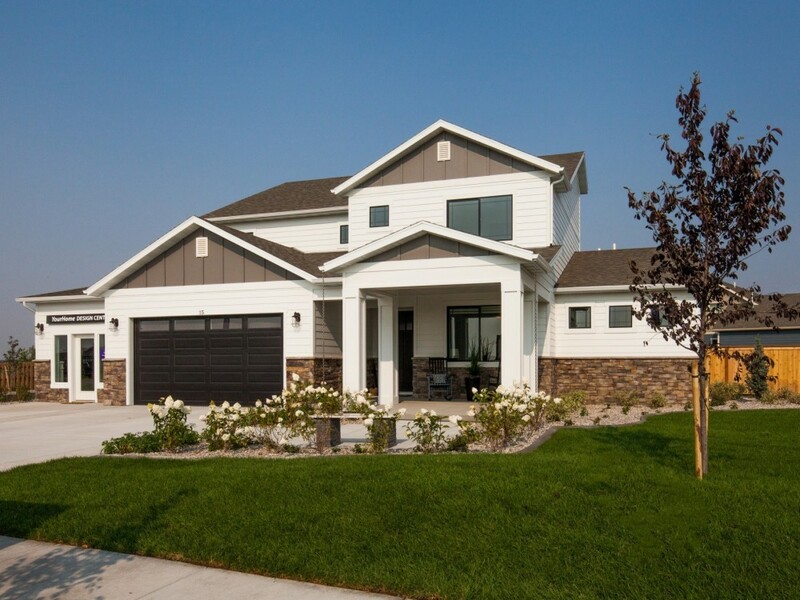 This really makes a perfect home for a large family in Bozeman Montana! 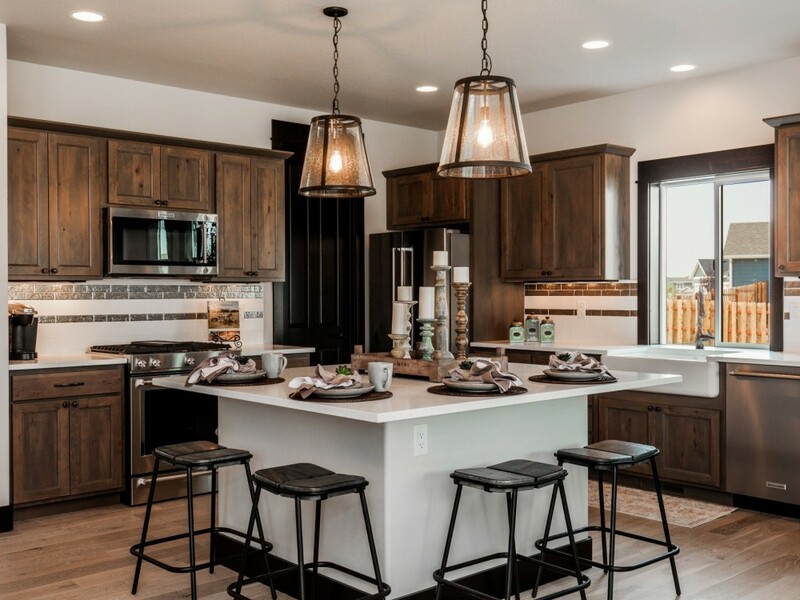 Sunrise Homes of Montana has switched model homes! We are no longer at 461 Stewart Loop. Our new location is a 15 Heights Circle. We are still located in the Gallatin Heights Subdivision, just off the entrance with the historic red barn. Take Gallatin Heights Drive up Heights Circle around the big 5 acre park. Follow the signs and flags and they will lead to straight to us! For this blog post we are going to focus on the main floor! This new model is our 3181 floor plan with a finished two story accessory dwelling unit (ADU). This floor plan features 4 bedrooms with a main floor master and 2.5 bathrooms. Options allow you to increase the number of bathrooms to a total of 5.5 with additional bathrooms in each of the upstairs bedrooms. 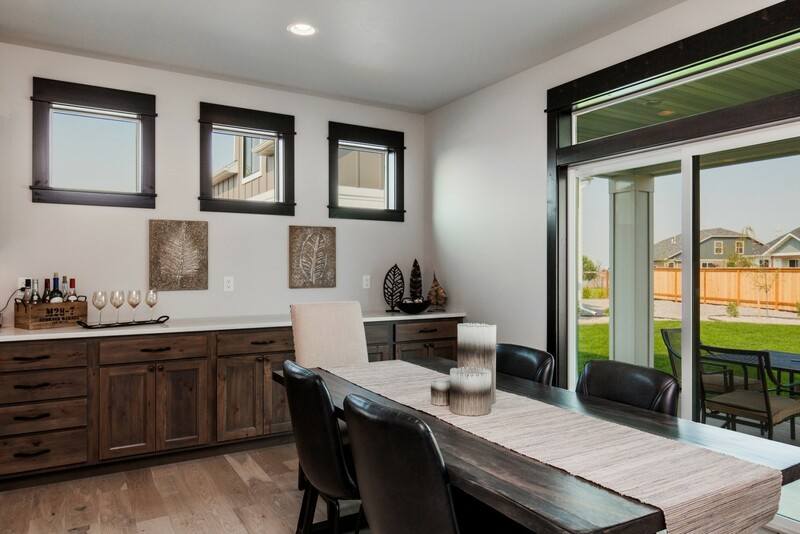 Our model home features almost every upgrade we could add including level 3 engineered floors, a pine stained trim and wood wrapped windows with 8' doors on the main floor. Walking into the great room you will see a spacious living room and a massive kitchen and dining room. The kitchen has been upgrade with many of our favorite options including level 4 cabinets in a warm gray with soft-close door and drawer. The island is our framed dining island which features overhang on 3 sides to allow for seating for 4 with ample work space remaining. We selected our professional Kitchenaid appliances and added under cabinet lighting and two statement pendants to round out the space. Pairing this with our massive pantry and the kitchen is practically perfect. Just off the living room is the master bedroom. This room we added several options to up the comfort level. First we added our vaulted ceiling option. This options increases the comfort of the room and allows for the light to illuminate the space even more. For our second option we add a sliding glass door with a back patio. This is the perfect intimate space for private conversation and relaxation. Finally, a personal favorite upgrade, lush nylon carpet with memory foam pad that runs throughout all the bedrooms that anyone could fall asleep on. All these combine to create the perfect oasis away from the stress that is life. Every great master bedroom needs a master bathroom that is equal to it. This master bath is a perfect example of this. 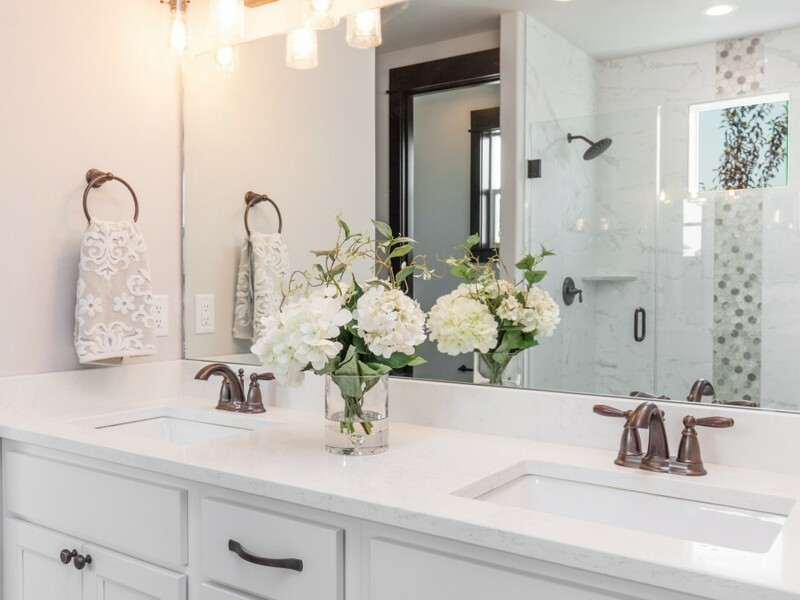 Blending white cabinets with a white quartz countertops and a white tile shower, this master is a refreshing burst of light that everyone needs when waking up in the morning. Pair this with a rain shower head and a comfortable bench and you may never want to leave the shower. As always with Sunrise Homes, the master features a large linen closet and an isolated toilet room. Through the master is arguably the best feature of this floor plan. 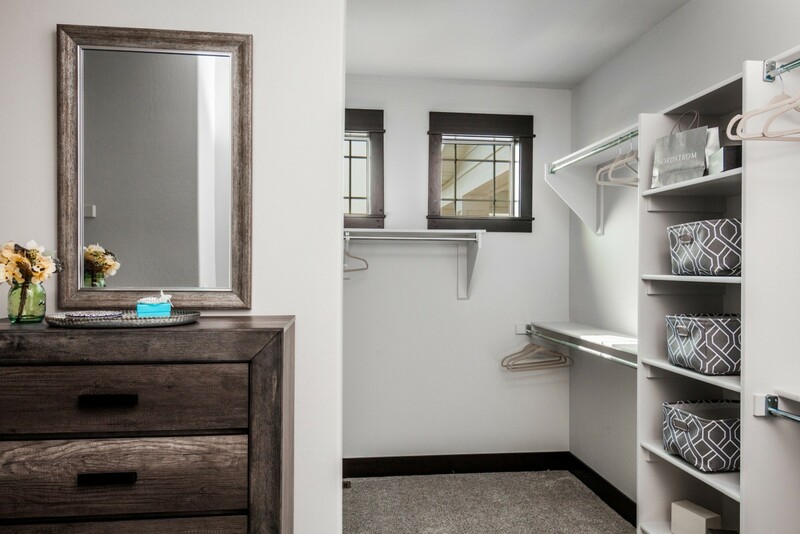 A MASSIVE walk-in closet, sure to fit all your outfits! 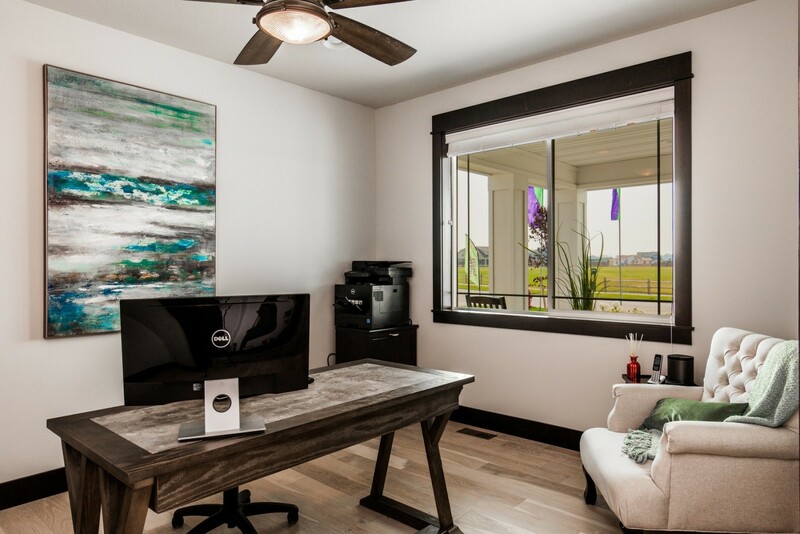 Downstairs also features a massive flex space that we are using for an office, a 1/2 bath, and a large entry! 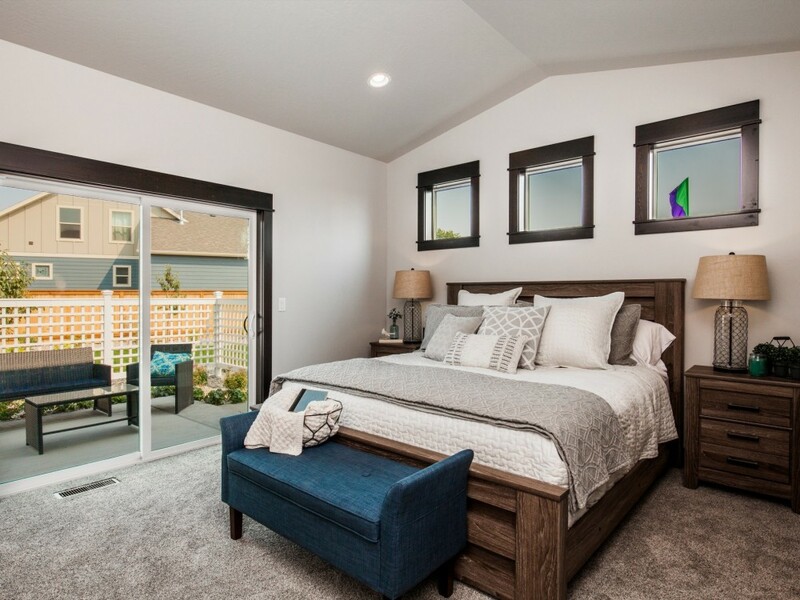 Just of the entry, the flex space has the option of being transformed into an additional bedroom or we offer options for double doors to allow for a more intimate den and reading space. This spot is perfect for a home office or an intimate seating area for guests. To the right of the entry is access to the garage, a coat closet and the powder room for easy access and privacy from everyone in the great room. That is all for downstairs! Make sure to check back with our blog in the weeks to come for more photos of this amazing model including the second floor, our new design center, and the finished ADU with its one bedroom apartment!